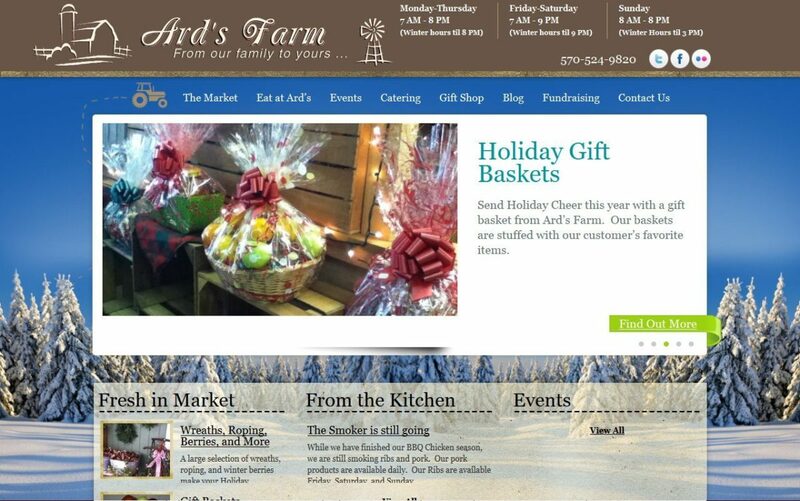 Located in Lewisburg, Ard’s Farm is a farm market featuring local specialties, BBQ, restaurant, catering, hayrides, corn maze, and much more. For this project we used WordPress for the CMS and built lots of custom apps like the menu app. This site also has a season switcher for the client which makes it easy to show a different design for each season of the year.